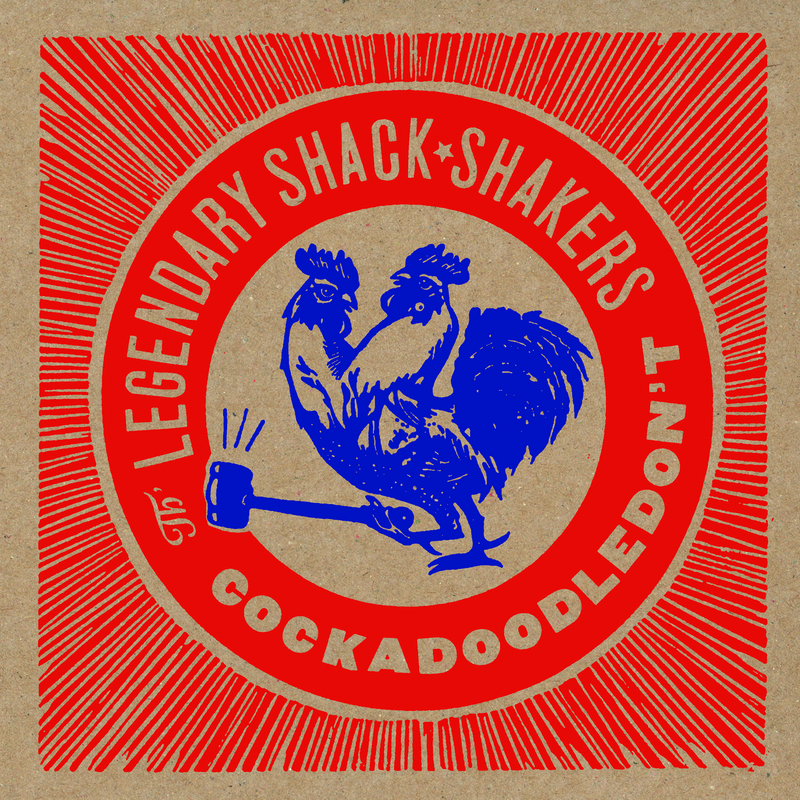 I am pretty sure I am the only person who has ever worked out to The Legendary Shackshakers. Certainly, I was the only one in the gym crushing it (I can benchpress 40 pounds, guys!) to rockabilly. Clocking in at just around 30 minutes, I present to you, in honor of Hound Gawd's vinyl reissue of Cockadoodledon't, the Adobe & Teardrops workout. The Shack-Shakers cut to the chase with the furious "Pine Tree Boogie" and "CB Song." They don't need the warm-up, but you do. The metal-like intensity and delivery of "Shakerag Holler" will make you want to pump your fists furiously, so this would be a good time to do chest presses. The album still doesn't let up, but you might need a break. Might as well do some relaxing groin presses, hip adductions and abductions, and take a pause to listen to the majestically spooky "Blood on the Bluegrass." "Wild Wild Lover" and "Shake Your Hips" will make you want to fast-forward to the night's activities. Better tone your core to get ready for the event. Even the final song, "Hoptown Jailbreak" is a mad dash to the finish. It'll be enough to pump you up for some concluding cardio exercise. There you have it! If you don't find someone to make wild love to while listening to this album once you get your beach bod ready, you'll at least have dropped some money on a great album! Guaranteed! I'm not enough of an audio nerd to have an opinion on vinyl vs. sound. I listened to the files Hound Gawd sent me on a 6-year-old mp3 player. That being said, I assume it was re-mastered and it sounded great on my headphones. If you have a sweet setup, it seems like it'd be worth springing for the vinyl.